WEST CALDWELL, NJ, September 24, 2018 －Ricoh Imaging Americas Corporation today announced it debut the highly anticipated RICOH GR III camera at Photokina 2018 — the world’s largest, full-scale trade fair of photographic and imaging products, held September 26-29, in Cologne, Germany. The new camera is the latest model of the RICOH GR series, a lineup of highend digital compact cameras providing exceptional image quality in a compact, lightweight body ideal for street photography. Currently under development, the RICOH GR III features a newly designed lens, image sensor and imaging engine that further upgrade image quality, enhance functionality and improve the user interface. For more than 20 years, the RICOH GR series has kept to its core concept of optimizing the essential values of a camera — high image quality, snapshot capability and portability — while at the same time making the refinements needed to meet emerging and evolving needs. Because of this, GR-series models have been preferred by a great many photographers, particularly professionals and highly experienced amateurs. Designed to be the ultimate snapshot camera, the RICOH GR III is a totally new breed of GR camera that will give the user new and different creative possibilities. The RICOH GR III will be available in early 2019 at www.ricohimaging.com and retail outlets nationwide. Ricoh Imaging Americas Corporation is a subsidiary of Ricoh Company Ltd., a global technology company specializing in office imaging equipment, production print solutions, document management systems and IT services. Headquartered in Tokyo, Ricoh Company Ltd. Is part of Ricoh Group, which operates in about 200 countries and regions. The company operating now as Ricoh Company Ltd. was originally founded in 1919, under the name Asahi Optical Joint Stock Co. and launched its first SLR camera in the 1950s under the 2 PENTAX name. Today, the company continues to produce the heritage-rich, award-winning line of PENTAX DSLR cameras, lenses and sport optics equipment as well as Ricoh’s offering of stylish and compact digital cameras, known for their wide-ranging, rich set of features. Image Sync was updated (Version 2.0.1). Image Sync is an application that, when combined with supported cameras enables remote capture, image view, copying image to a mobile device, uploads to social media, and other functionality. Image Sync was updated (Version 2.0.1). The symptom which some devices could not install Image Sync version 2.0.0 has been resolved. Image Sync ver.1.1.6 supports PENTAX K-1 Mark II. Image Sync was updated (Version 1.1.5). Bug fixed in view mode. Image Sync corresponded to new authentication method of YouTube. 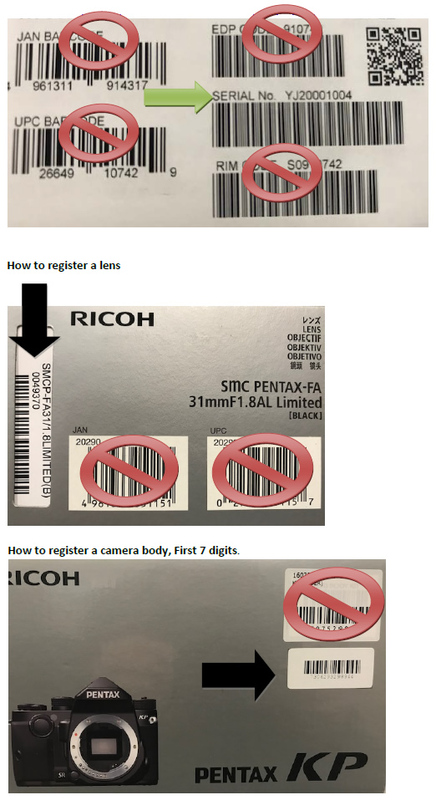 PENTAX KP connection instructions and function description were posted. This lets you view on, and copy to the mobile device images you have taken on your camera. Images that have been copied can be uploaded to social media. * Image Sync can be used even when the camera is not connected to mobile devices. You can view the Live View image of the camera on the mobile device, and using this, change shooting conditions such as EV compensation, and operate the shutter. Details in Overview, Connection Method, and Functional Explanations are current as of September 2018. Thank you for using a PENTAX K-1 digital camera. RICOH IMAGING COMPANY, LTD. wishes to announce the release of Firmware Update Software Version 1.50 for PENTAX K-1. · Optimized performance when attaching new lens HD PENTAX-D FA*50mmF1.4 SDM AW. *When this update is done, the contents of version 1.43 and earlier will be also updated. · Corrected – Unstable performance may rarely occur in Movie mode or Live View status of still picture in firmware version 1.42. · Corrected – Unstable performance may rarely occur in firmware version 1.41. - Recording image quality change function. - Card slot setting function. The PENTAX K-1 provides a red-lighted LCD monitor display function, which prevents the pupils of the photographer’s eyes from closing down after they have become accustomed to a dark environment during astrophotography. The bulb timer function comes in handy when photographing celestial bodies or fireworks. The PENTAX K-1 allows the photographer to expend an exposure time up to 20 minutes in Bulb mode. · Overall Improved stability for general performance. *1: When Slow Shutter Speed NR is OFF and JPEG image. · The Electronic Shutter can be selected at the Menu to reduce camera shake from the mechanical shutter when shooting with Live View mode. · Added and selectable [Square format (1:1)] size at the Crop mode. · At the [BKT] setting, the bracketing range [±0 (=single frame)] can be selected. · Corresponded to [KAF4 lens mount] that is equipped with an electromagnetic diaphragm control system. · Only PENTAX K-1 users are permitted to download the firmware update. · SD card reader or a computer with a SD card slot. 1. Provide a formatted SD memory card for the update software. 2. Insert the D-LI90 battery into the camera and confirm the battery is full by battery level indicator then turn the camera off. 3. Insert the update SD card (prepared in step 1) into the camera (slot 1) and close card cover. 4. Turn the camera power on while pressing the MENU button. 5. "Updates the camera firmware" appears in the LCD monitor. Ver: 1.00/1.10/1.20/1.30/1.40 /1.41/1.42/1.43→1.50　will be displayed. 6. Press the four-way controller to select "Start" and press the "OK" button. 7. "NOW LOADING" appears on the LCD monitor and updating starts. 8. When update is completed, the "COMPLETE" will be displayed at the left bottom of the LCD monitor, then turn the camera off. 9. Remove the update SD card from the camera. 2. This software is covered by a software license agreement. Please read the software license agreement before downloading the software. 3. You will have agreed with this software license agreement when the download starts. o Licensed software: "Licensed software" means the captioned program in a format that the user can download from the RICOH IMAGING COMPANY, LTD website or from a site empowered by RICOH IMAGING COMPANY, LTD.
o Use : "Use" means the user downloading and retrieving the licensed software from the RICOH IMAGING COMPANY, LTD website or from a site empowered by RICOH IMAGING COMPANY, LTD .
o Designated machine: "Designated machine" means the single computer system set up in order for the user to use the licensed software. o Reproduction: "Reproduction" means reproducing the licensed software on a storage device in the same format as the user downloaded or a different format. o Modification: "Modification" means performing alternations or making additions to the licensed software, or creating separate software that makes use of all or a portion of the licensed software. Thank you for using a PENTAX KP digital camera. RICOH IMAGING COMPANY, LTD. wishes to announce the release of Firmware Update Software Version 1.10 for PENTAX KP. · Only PENTAX KP users are permitted to download the firmware update. To check the version number, press the menu button and select [Firmware Info/Options] in the [Set-up 5] menu then press the four-way controller right. Press the four-way controller right to display [Set-up 5] menu screen. Select [Firmware Info/Options] in the [Set-up 5] menu then press the four-way controller right. •Fwdc232b.bin: This is the updated firmware. Copy the above Firmware file [Fwdc232b.bin] to the root directory in the SD card. 2. Insert the D-LI109 battery into the camera and confirm the battery is full by battery level indicator then turn the camera off. 3. Insert the update SD card (prepared in step 1) into the camera and close card cover. Ver: 1.00→1.10 will be displayed. Thank you for using a PENTAX K-3 digital camera. RICOH IMAGING COMPANY, LTD. wishes to announce the release of Firmware Update Software Version 1.40 for PENTAX K-3. Optimized performance when attaching new lens HD PENTAX-D FA*50mmF1.4 SDM AW. *Contents of [Version 1.30] and earlier version will be also updated. *Contents of [Version 1.21] and earlier version will be also updated. · Corrected – When status screen setting is set to [Display Off] and shutter button or AF button turn to off, back light of Monitor is light up on firmware version1.20. · Optimized performance of HD PENTAX-DA 18-50mmF4-5.6 DC WR RE, HD PENTAX-D FA 150-450mmF4.5-5.6ED DC AW and HD PENTAX-D FA ★70-200mmF2.8ED DC AW. · Corresponded to AF button and preset button function for HD PENTAX-D FA 150-450mmF4.5-5.6ED DC AW. · Corrected – When shooting image after using the Built-in flash, Exif data of shutter speed is not updated on Version 1.10. · Added automatic reset function when detecting rarely occur abnormal motion of the sequence. · Added Diffraction Correction on Lens Correction. *How to operate Diffraction Correction click here. · Shortened processing time for Digital Filter　and Color Fringe Correction. · Improved stability for AWB (Auto white balance) performance. · Correspond to HD PENTAX-DA AF REAR CONVERTER 1.4X AW. · Added Bracket shooting in [Anti-Aliasing Filter Simulator]. *How to operate Bracket shooting click here. · Improved stability of battery level indicator when using with battery grip. · Optimized performance of continuous shooting when setting AF.C mode. · Shorten processing time of combining time for HDR Capture. · Improved performance of continuous shooting when using phase-matching autofocus. · Extended enlarged display time for live view. · Only PENTAX K-3 users are permitted to download the firmware update. Ver: 1.00/1.01/1.02/1.03 /1.10 / 1.11/1.20/1.21/1.30→1.40　will be displayed.